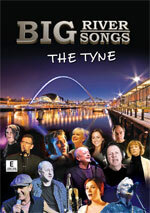 Their final concert filmed on 1st November 2003 at the Tyne Theatre, Newcastle. All the old favourites are here; 'Lady Eleanor', 'Meet Me on the Corner', 'Winter Song', Run For Home', Fog on the Tyne' and 'Clear White Light', featuring the vocal talents of Billy Mitchell and Dave Hull-Denholm. 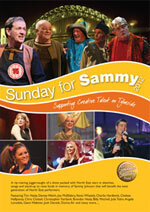 The DVD includes a documentary 'Run For Home' produced by Tyne Tees TV and the audio is a 2 CD set featuring 25 songs. 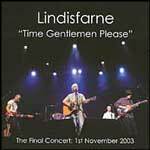 Short of being there on the night, this visual record of Lindisfarne's final concert is as fine as any 'live' music dvd I have come across. The art of good editing is to know when to draw attention to the face of the performer so that you capture just the right moment it also helps if you're a musician and you know when to focus on the fingers of the artist as he goes to that tricky lead break. None of this is lost on the directorial skills of Geoff Wonfor and Ray Laidlaw. There's no quirky or jerky camera movements associated with youth TV such as smart-arse rushing in on irrelevant objects that make you wonder '...what was that all about?' You see this dvd isn't trying to be flash or arty. It sets out to capture the band with no frills, bells or whistles and should be required viewing for anyone who wants to learn about good filming technique. Of course the mark of a good show is in the performance of the band and how well they can galvanise the audience. As you'd expect Rod Clements, Dave Hull-Denholm, Ray Laidlaw, Billy Mitchell and Ian Thompson masterfully control the assembled throng taking the audience through the hands in the air bonhomie of 'Run For Home' and 'Meet Me On The Corner' to the poignancy of 'Can't Do Right For Doing Wrong'. Talking of which the wonderful thing about capturing a rare moment in a lens is that (in this case) a gentle wipe of the nose gives way to a certain restrained sentimentality that you wouldn't notice on an audio recording. Of course, aside from the concert itself, what self-respecting dvd would be without a special feature. 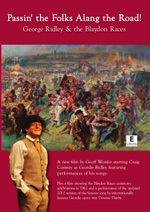 So here we have the 2003 documentary chronicling the history of the band with contributions from Ralph McTell, Bob Harris and even Tim Healey. 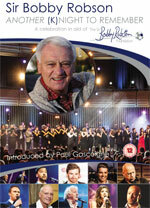 If you buy one 'live' dvd this year make it this one!